If you work in a city, you don’t need to be told that air pollution is bad for your eyes – but it is also one of the world’s biggest killers. Air pollution causes more than 5 million premature deaths a year worldwide, an estimated 40,000 premature deaths in the UK – and almost 10,000 in London alone. Of course, if you live or work other cities like Manchester, Leeds, Newcastle and Birmingham, you are also at risk. The main culprit and most dangerous form is “ambient fine particulate pollution”, largely caused by diesel fumes. 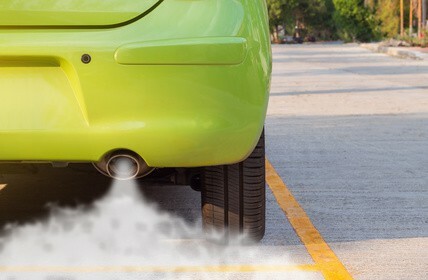 These particles, called PM2.5, are extremely small – about 2.5 microns across. In comparison, a human hair is about 80 microns across. Therefore, the particles are small enough to enter the lungs and bloodstream. The toxic gas nitrogen dioxide (NO2) is a ‘companion killer’. When they reach the heart, lungs and brain, these two toxins can cause chronic inflammation – which can lead to a cardiac arrest, lung cancer, emphysema, chronic obstructive pulmonary disease or stroke. Worse still, the particles can impair the immune system and make you more susceptible to infections generally. And of course worsen asthma symptoms. 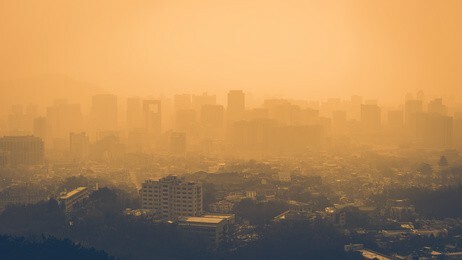 Studies from the USA show that living in a polluted city is associated with a 27% increase in cardiovascular death, an almost 75% increase in the risk of a heart attack, and a 28% increase in lung cancer death – compared with living in a clean air area. The premature death figures are shocking enough, but they are only the tip of the iceberg. For every person who dies early from air pollution, many more are made ill or hospitalised. So how can you defend yourself? Although there are moves to reduce diesel engine use in cities, this invisible and insidious problem is not going to go away anytime soon. The Columbia University researchers first took healthy, non-smoking adults between 18 and 60 years of age, who lived in ‘lightly polluted urban areas’. None were taking any form of B vitamin supplements. First, they measured heart rates, their heart rate variability (the time between heart beats) and white blood cell counts (a marker of immune status). They gave the subjects a placebo for four weeks. Then they exposed them for two hours to concentrated PM2.5 pollution. They tested the subjects again and found that all their heart and immune markers had worsened. Their heart rate had increased – meaning that their hearts had to work harder. Their white blood cell count had increased by an average of 11.5%, which meant their immune systems were sensing a pathogenic attack such as an infection. Worryingly, their heart rate variability had fallen by an average of 57%, which is a sign of blood pressure swings and that the body is under significant internal or external stress. The subjects were then given four-weeks of vitamin B supplements. 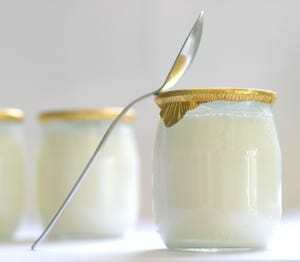 The participants took 50 mg of vitamin B6, 2.5 mg of folic acid (vitamin B9), and 1 mg of vitamin B12 daily. They were again exposed to PM2.5 pollution. This time, the pollution toxins had almost no effect. B vitamins are among the first vitamins depleted under stress when toxins are present. B vitamins are important in the creation of the body’s detoxifying enzymes, which not only work in our liver, but in the lining of our airways. B12 is a particularly powerful detoxifying nutrient – indeed a study published in Experimental Biology and Medicine found that high dose vitamin B12 can even be effective in cyanide detoxification! However, the amounts of B vitamins used in the Columbia study were very high. For example, the level of B6 used was over 30 times the RDA (Recommended Daily Allowance) and that of B12 was over 350 times the RDA! Although the Food and Nutrition Board at the US Institute of Medicine has not recorded any adverse effects linked to excess amounts of vitamin B12, it is true that vitamin B12 can interact with certain medications. So it would be important to consult your doctor before you take such a high-dose vitamin B complex supplement. In principle, mega doses of any single nutrient are not desirable as the body uses a wide variety of nutrients that need to be balanced to get an overall synergistic health effect. The Columbia regime also did not include vitamin B2, which is rather odd as this vitamin is known to be important in the detoxification process. Although the Columbia University results are impressive, there is another way to combat pollution with supplements that does not involve mega doses, as the B vitamins are not the only nutrients that are important in the detoxification process. Vitamin C, for example, is a vital nutrient in helping the liver to break down and rid the body of toxins. A level of 500mg a day is optimum. The body absorbs what it needs and will excrete the excess – so any higher levels are generally wasteful. Minerals are also important in detoxification – especially magnesium. Supporting the lymphatic system also has a role. It is part of your circulatory system and a key part of the immune system. 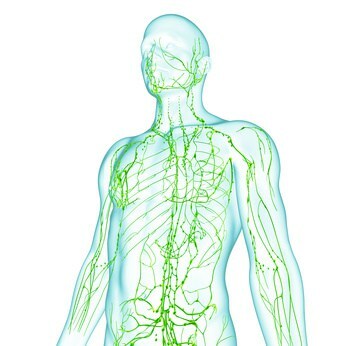 The lymphatic system comprises a network of vessels that carry a clear fluid, called lymph, around the body. Lymph then transports toxic by-products from the lungs, liver and kidneys for eventual elimination. Vitamins that support the lymphatic system include beta carotene (which converts to vitamin A as needed), vitamin C, vitamin E, and vitamin B6. Finally, a supplement that gives specific support to the immune system would give even further protection. It should include vitamins A and D3, curcumin, selenium, zinc and green tea extract. Extensive research has shown that broccoli can not only boost the activity of the detoxification enzymes in the liver, but act as a cancer fighter. 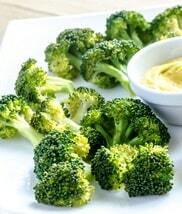 Researchers at UCLA fed some smokers a large portion of broccoli every day for ten days to determine if it would affect the level of inflammation within their bodies. They chose smokers because, of course, smoking is highly inflammatory. After the 10 days, they tested the blood of the smokers and found that levels of an important inflammatory marker, called C-Reactive protein, were reduced. So the broccoli did reduce inflammation. But how? To find out, the researchers took lung lining cells from the smokers and exposed them to broccoli extract in a petri dish. The cells showed a more than 100 times increase in detox-enzyme expression, compared to a non-cruciferous vegetable extract. So the broccoli had been responsible for ‘turning on’ genes that were anti-inflammatory. Next, the UCLA researchers exposed two sets of volunteers (non-broccoli-eaters and broccoli-eaters) to a level of diesel fumes equal to the daily rush-hour levels on the Los Angeles freeway. Within six hours, the number of inflammatory cells in the noses of the control group rose very significantly, and continued to rise. But inflammation levels in the group that received the “broccoli sprout extract,” went down and remained low. For good measure, some Chinese researchers – where they have some of the worst air pollution in the world – were able to show that consuming broccoli sprouts resulted in the ability to detoxify 60% more benzene from the body than a control. Benzene is a known human carcinogen. What should you do to defend against the effects of air pollution? If you live in a city, it is definitely worth increasing your intake of cruciferous vegetables (eg. kale, cabbage, Brussels sprouts, spring greens) and broccoli in particular. And up your intake of fruits like blackcurrants, raspberries and blueberries that contain high levels of protective flavonoids. Consider a comprehensive health food supplement to boost your overall ability to counteract air pollution. The supplement should have well above RDAs of B vitamins, but also include a balanced range of other nutrients at optimum levels that also support the lymphatic system and immune system. NutriShield is a very broad range supplement that was formulated to do that – and indeed more. See www.nutrishield.com. Or read chapters here FREE simply by registering your email address. Riso P, Vendrame S, Del Bo’ C, Martini D, Martinetti A, Seregni E, Visioli F, Parolini M, Porrini M. Effect of 10-day broccoli consumption on inflammatory status of young healthy smokers. Int J Food Sci Nutr. 2014 Feb;65(1):106-11. Jiang Y, Wu SH, Shu XO, Xiang YB, Ji BT, Milne GL, Cai Q, Zhang X, Gao YT, Zheng W, Yang G. Cruciferous vegetable intake is inversely correlated with circulating levels of pro-inflammatory markers in women. J Acad Nutr Diet. 2014 May;114(5):700-8.e2.